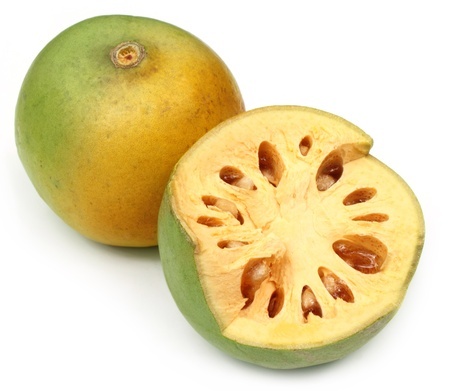 The bael tree contains furocoumarins, including xanthotoxol and the methyl ester of alloimperatorin, as well as flavonoids, rutin and marmesin; a number of essential oils; and, among its alkaloids, á-fargarine(=allocryptopine), O-isopentenylhalfordinol, O-methylhafordinol. Aegeline (N--3-phenyl-2-propenamide) is a constituent that can be extracted from bael leaves. Aeglemarmelosine, molecular formula C16H15NO2 27D+7.89° (c 0.20, CHCl3), has been isolated as an orange viscous oil.